PLAYA VISTA, Calif.,(GLOBE NEWSWIRE) — American Premium Water Corporation (OTC:HIPH) (“APWC”) announces that is has created the THRD Coin to be exchanged on the Company’s FashionCoinX exchange. THRD Coin will encompass multiple brands, including Gents and Worthy. Brands participating in THRD Coin will have the ability to cross promote their products to their followers and customers of the other participating brands. THRD Coin will allow its holders to receive special discounts, unique promotions, and access to exclusive product that will only be able to be purchased utilizing the THRD Coin. “I am pleased to announce that the Company has finished creating the THRD Coin. Creating this utility token was always part of the Company’s vision in creating a exchange focused on the fashion industry. Having many of years of experience with Gents and other labels, THRD coin will be a great tool for smaller brands to be able to collaborate and cross-promote with other companies in different verticals, maximizing the exposure to like-minded customers. THRD Coin will be a powerful tool for brands, and I am looking forward to seeing it grow and progress. 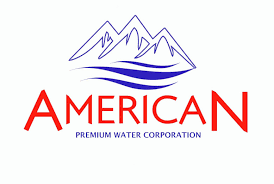 I will be personally overseeing the business development activities for the token,” commented Ryan Fishoff, CEO American Premium Water Corporation. “THRD Coin and (FashionCoinX) are innovative platforms that are utilizing blockchain technologies to disrupt the fashion industry. I have personally seen the effect that e-commerce and Amazon have had on traditional brick and mortar retailers, and the brands sold in the traditional retail channel. This technology will help even the playing field, as it will enable both brands and retailers to be better connected with consumers. I am excited about the potential that the THRD Coin has. The exchange (FashionCoinX) and the token (THRD Coin) align with the Company’s focus on “Brand.Luxury.Lifestyle”, our guideline going forward as myself and management continue to reshape the Company,” added Mr. Fishoff. The Company has initated the process of filing an amendment to its articles of incorporation with the state of Nevada to drop “Water” from it’s name to reflect its’ focus on growing and acquiring luxury consumer brands across all product categories. The Company will provide updates to the investment community in the coming weeks on this topic. The Company is also in discussions with various brands and outlets to accept the token. The Company is working with the developers of the FashionCoinX to generate multiple revenue streams for the Company utilizing the exchange and the utility tokens such as; listing fees from participating brands, exchange fees, and transaction fees for online or point of sale transactions utilizing the THRD Coin. “I have personally been in dialogue with a number of brands looking to join THRD Coin. My experience with Gents allows me the ability to connect with many of the owners of these small brands; I understand the challenges of doing business in the 21st retail environment. I also plan to reach out to our retail partners (Saks, Bloomingdales, and Nordstroms) among other multi-branded retailers (and e-tailers) to develop a strategy for their participation. There is nothing in the marketplace like these platforms (FashionCoinX and THRD Coin) and we are going to work diligently to exploit this have first-to-market advantage. Increasing the number of outlets accepting THRD Coin would expand the avenues for monetization, which could add significant top-line revenue to the Company,” Mr. Fishoff concluded. The New York-based Gents is a producer of luxury hats and other fine accessories and apparel. Their line is carried in over 200 retail outlets internationally, including Bloomingdale’s, Nordstrom, and Saks Fifth Avenue.